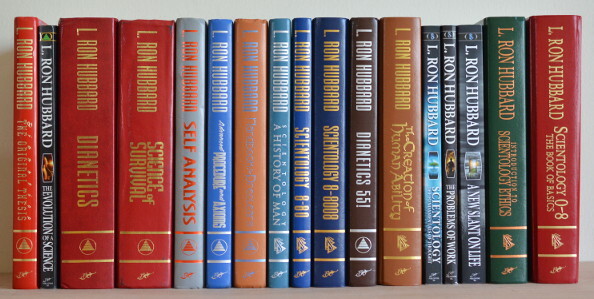 1) To provide BASIC INFORMATION about the true works of DIANETICS and SCIENTOLOGY as authored by the Founder of the movement L. Ron Hubbard (LRH) and legally copyrighted under his name. 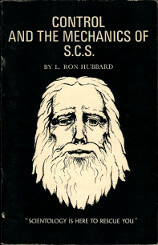 It is carefully noted here that the Church of Scientology does not currently publish, sell, or otherwise disseminate the original works of its Founder. 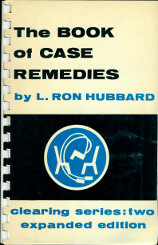 2) To illuminate SPECIFIC CHANGES that were introduced to both CONTENT and PRESENTATION of the original works when compared to the new publications currently sold by the Church as well as scrutinize statements by David Miscavige (DM) who discredited the original publications as being full of errors and released a new batch of supposedly “corrected” books called THE BASICS. 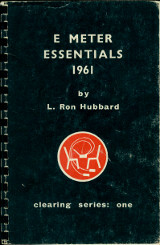 This took place in 2007 at a large event – Golden Age of Knowledge: The Basics – which is currently featured on the official Church of Scientology website. 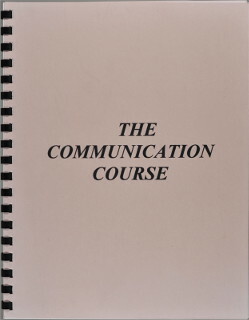 David Miscavige's title is Chairman of the Board (COB) of Religious Technology Center (RTC), and he is also advertised on the official Church of Scientology website as "Ecclesiastical Leader of Scientology Religion." 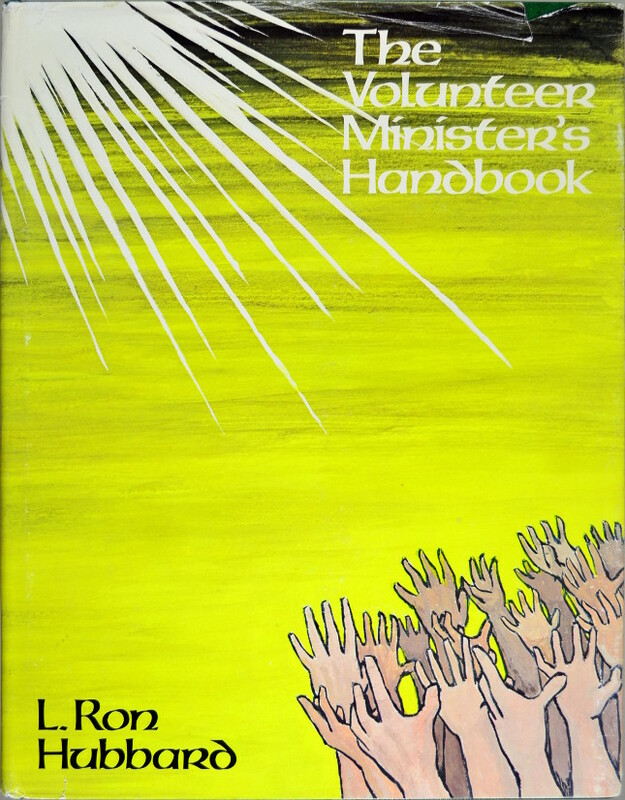 When subjected to careful analysis, many of DM's statements at the Basics event are revealed to be highly misleading or simply untrue, while most of the actual changes in the books are found to have been made for the worse. 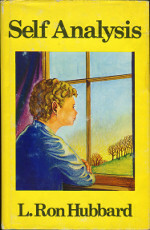 This will be clearly demonstrated in a series of Alteration Reports – one for each book. 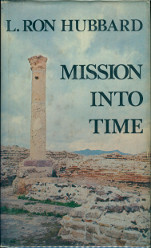 When analysis for any particular book becomes available, there will be a link titled Alteration Report below a thumbnail of a book to which it applies (see book listing below). Please, see SUMMARY OF FINDINGS report to help you better understand and navigate volumes of information presented in separate Alteration Reports. 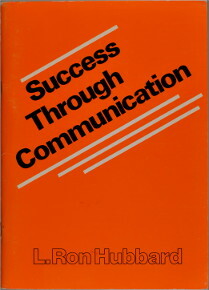 To increase the quality of presentation, some of the reports utilize text comparison in page image format. These slides have been aggregated on page SLIDES for your convenience. A number of DM's key statements from introductory part of his speech can be viewed HERE. 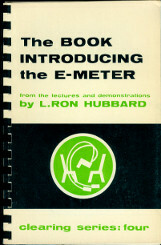 Note, at this time this website does not address the lectures that were released along with the new books. 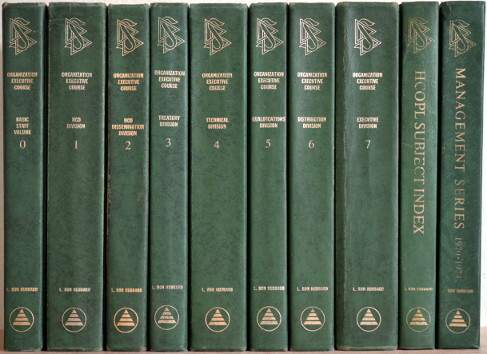 INITIAL PUBLICATIONS: the very first editions and publications of the books (mostly 1950's). 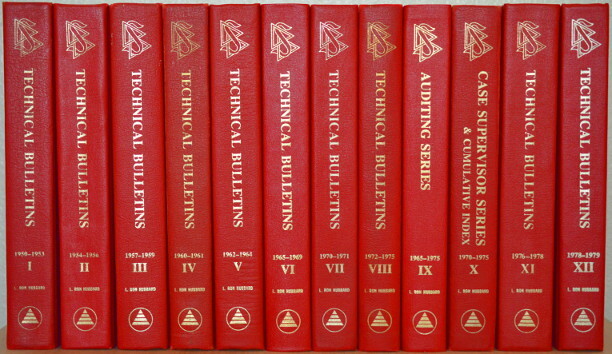 INTERMEDIARY PUBLICATIONS: subsequent editions and reprints before the "final publications." 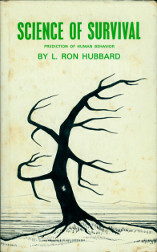 FINAL PUBLICATIONS: last publications of the books (mostly mid 1970's) published by the original Church of Scientology of California while the author L. Ron Hubbard was still alive and actively participating in the affairs of the organization. This line of materials is picked as a stable datum of the most correct and up to date works of LRH in terms of which to evaluate all other materials (especially THE BASICS). 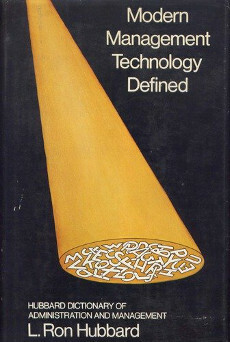 ALTERED FORM EDITIONS: these books were published in the early 1980's by Bridge Publications or New Era Productions (in Europe) after corporate restructuring. 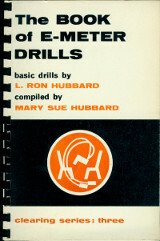 They were slightly bigger in form but contained text that was still copyrighted under L. Ron Hubbard. 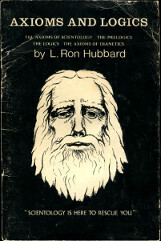 "LIBRARY" EDITIONS (before The Basics): in late 1980's, after the death of Ron Hubbard, books began to be published under a new copyright "L. Ron Hubbard Library." This is where alterations to the text itself begin to take place. This fact was disclosed by Class VIII Auditor, Aida Thomas, in her Tech Alterations Video Series. THE BASICS: the latest batch of highly distorted publications released in 2007 and falsely advertised as "pure unadulterated source." 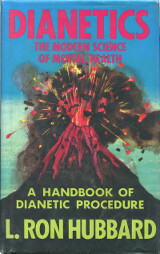 1) Book description pulled directly from the original Technical Bulletins of Dianetics and Scientology volumes (1976 - 1980). 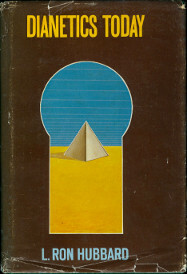 2) An image of a book with a dust jacket (dj). 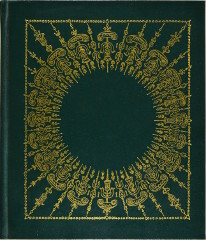 3) Title page, copyright page, and a table of contents if there is one. 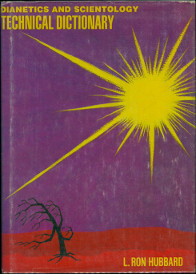 See description pages for originally out of print works HERE. 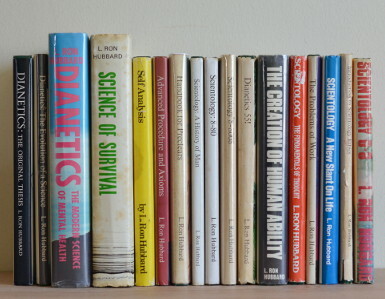 Download a chronological list of all Dianetics and Scientology materials taken from 1979 What is Scientology? book HERE – 4.12MB PDF (or higher quality file HERE –15.9MB PDF). Download an Excel file of a formatted text extract of the materials list HERE. 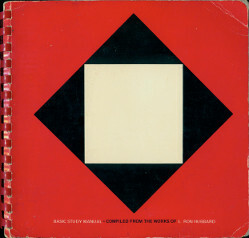 THERE ARE NO COPIES OF COMPLETE WORKS ON THIS WEBSITE. 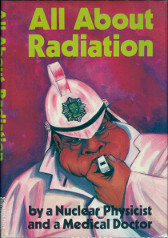 Please, see the COPYRIGHTS page for information about the copyrights for these works. 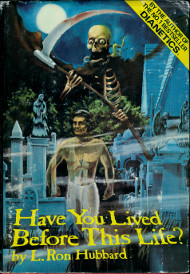 Note, the date below each book in the list is a date of first publication. 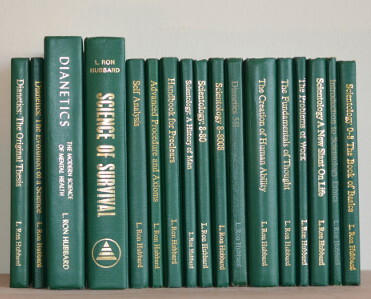 The Technical Bulletins of Dianetics and Scientology Dianetics and Scientology Technical Dictionary What is Scientology? 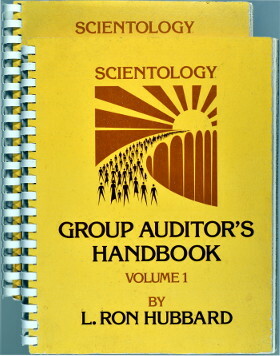 To take it a step further, a list of all Scientology corporate entities registered with different States within the U.S. was compiled (as of August 2015) and then compared against the list of organizations in 1979. 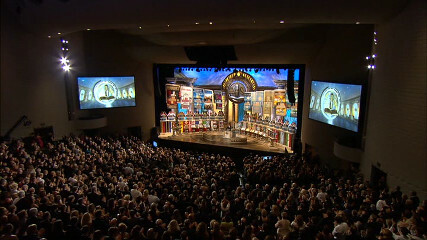 By comparing the two lists it can be easily seen that there has been NO expansion of Scientology in the U.S. in terms of the number of its active service organizations (churches and missions). On the other hand, it looks like there have been many organizations that tried and failed. Take a look for yourself: EXCEL FILE. 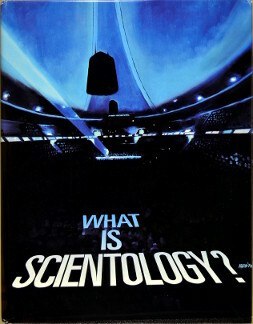 1979 What is Scientology? also provided some specific statistics as to membership figures, production volumes and many other statistics at the time. It's quite enlightening. Here is a PDF. Note, this website will continue to stay as-is in line with its outlined purpose. 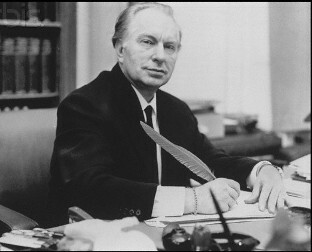 A different website was set up to fulfill the need for evaluating the theory and practice presented in Dianetics and Scientology materials as well as formulating a new framework: www.civilizationupgrade.com.